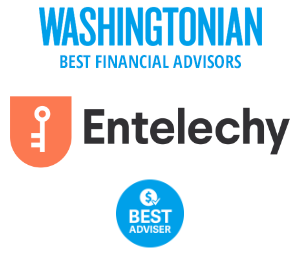 Entelechy is a flat fee-only financial life planning & investment management company. Our mission is to help people use money as a tool to realize life goals and reach their full potential. 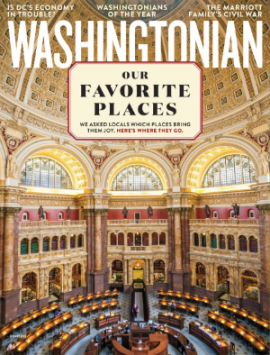 Named one of the best fee-only financial planners in the Washington, DC area by Washingtonian Magazine. No sales. No minimums. No hidden fees. Just a process that works. You want the best for yourself and for your family, but managing your finances can be intimidating. Getting honest, objective advice from an experienced professional shouldn’t be difficult. We make it easy to take control of your financial future, helping you imagine, save and invest for what’s possible. Real financial planning is about figuring out what’s important to you. Together we’ll craft a financial plan and investment strategy that reflects you, your goals, and your values using the latest technology available and transparent pricing. With technical expertise in planning, investment and tax strategies, we’ll help you put your plan into action and optimize your wealth. Whether that means figuring out how much to pay yourself in retirement or optimizing your investment portfolio, we’re your collaborative financial ally. We’re here to provide you attentive, personalized service to make sure you stay on track to reach your goals, and guide you through major milestones, from annual employee benefits planning, to tax season, to major purchases and beyond. Life changes, and so should your financial plan. Whether you’re boldly exploring new possibilities or being thrown a curveball, it’s important to incorporate new elements into your planning and investment strategies, including the latest available academic research. Financial advice designed with you in mind. We’re here to help you feel confident in your financial present & future. No more worrying. No more doubting your financial decisions. No more wondering who you can trust. Just objective, straight-forward advice from a CFP® professional delivered with the latest and best technology available.